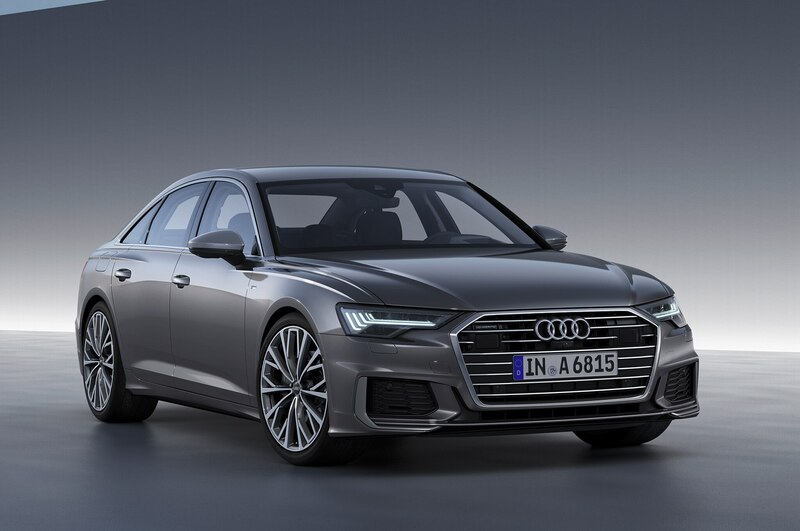 The Audi A6 may have just gotten freshened for 2016, but that didn’t stop the automaker from rolling out an all-new model just three years later. 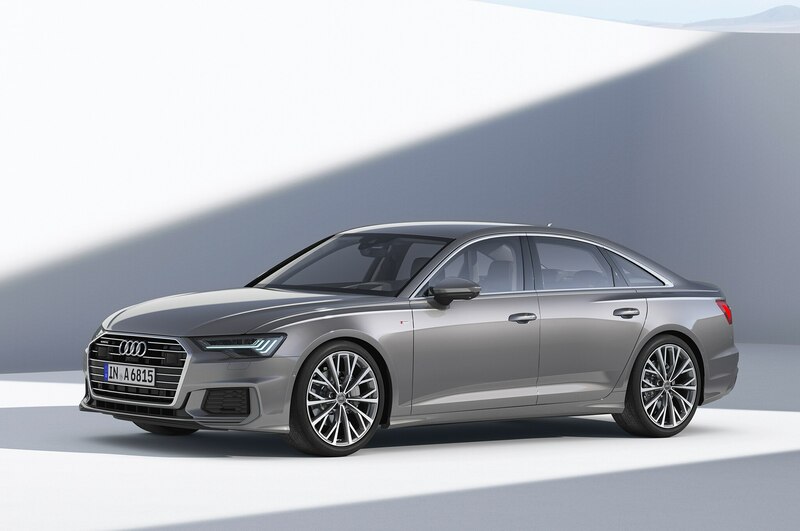 The just-announced 2019 Audi A6 should arrive in showrooms towards the end of this year, with German-market models arriving in June. At the front of the new car sit the wide grille and narrow headlamps that are a signature of Audi’s current design language. The design is close to that of the 2019 A8, which isn’t surprising to anyone familiar with how Audi does design. 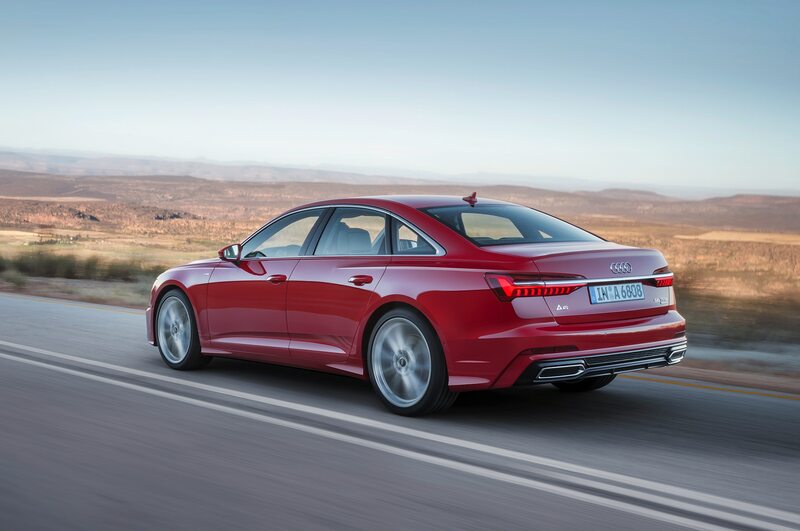 It’s not as aggressive as that of the A7, however, which is sensible given the vastly different aims of the two cars. Out back, there’s a slight connection to the A8 thanks to the chrome bar down the middle of the taillamps, but there’s also a resemblance to the A4. Again, no surprises—but certainly a stylish rear end. 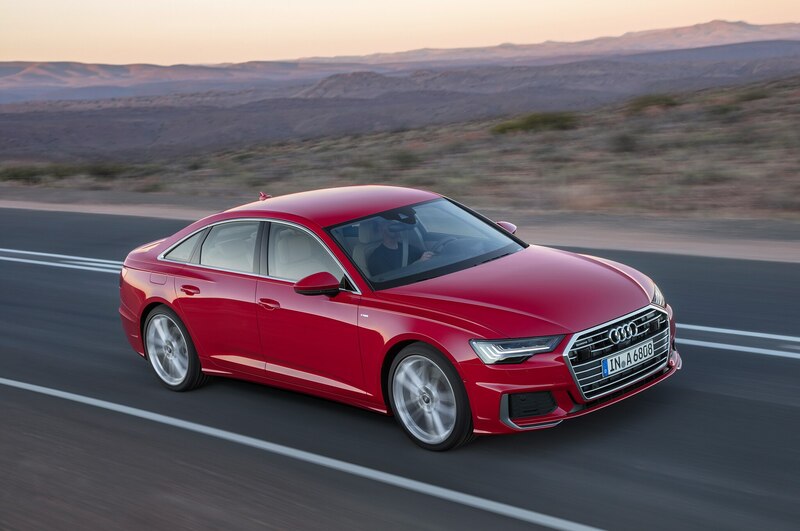 Under the hood, the 2019 A6 will carry a 3.0-liter turbocharged V-6 that consumes either gasoline or diesel. The gasser makes 335 hp and 369 lb-ft of torque (increases of 25 hp and 44 lb-ft over the outgoing supercharged V-6), which is distributed by a seven-speed dual-clutch automatic. The diesel, which is unlikely to make it to the U.S., is good for 282 hp and 457 lb-ft of torque and comes mated to an eight-speed automatic. 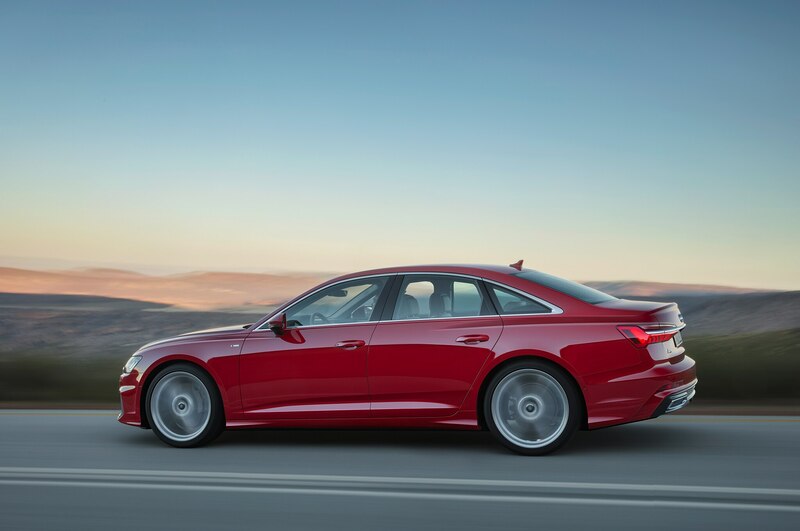 Both engines come with a 48-volt mild-hybrid system that enables the A6 to coast at speeds between 34 mph and 99 mph. 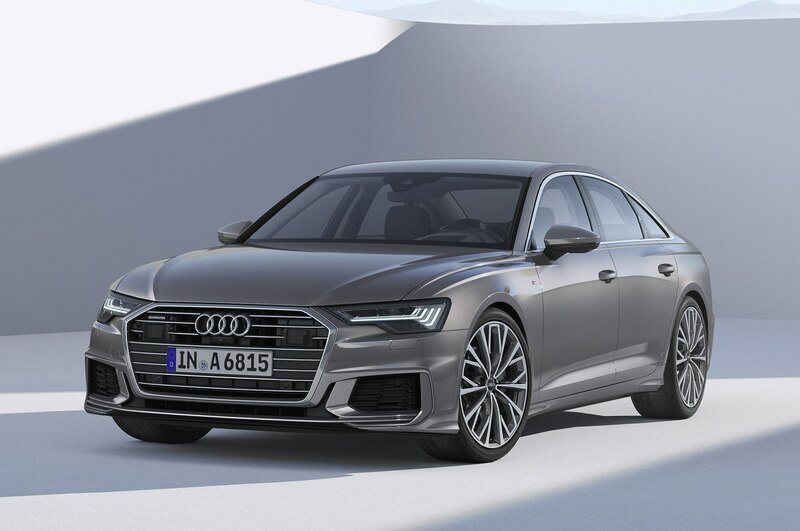 Four suspension choices will be available for the 2019 A6, at least in Germany: a conventional steel spring setup, a sport suspension, a damper control-equipped setup, and an adaptive air suspension, also fitted with controlled damping. A four-wheel steering option will also be available. Inside, it’s basically a carbon copy of the A7’s cabin, albeit with a more mature ambiance. There’s Audi’s fancy 12.1-inch Virtual Cockpit gauge cluster, the optional 10.1-inch touchscreen, and the secondary 8.6-touchscreen for climate controls and other features that offers haptic feedback and takes text inputs. 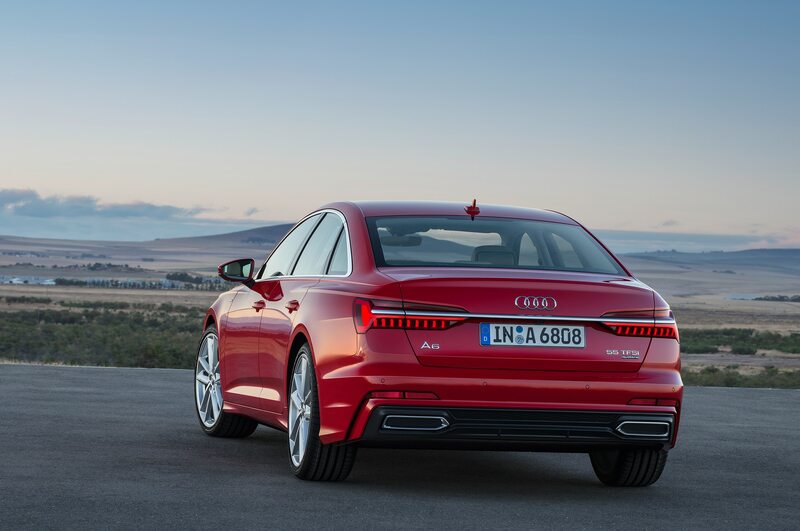 The safety suite includes adaptive cruise control, lane keep assist, and automatic parking, but the A8’s promised self-driving tech is on the list. Audi did not specifically say whether the 2019 A6 would be shown next week at the 2018 Geneva auto show, but we’d be surprised not to see it in attendance.